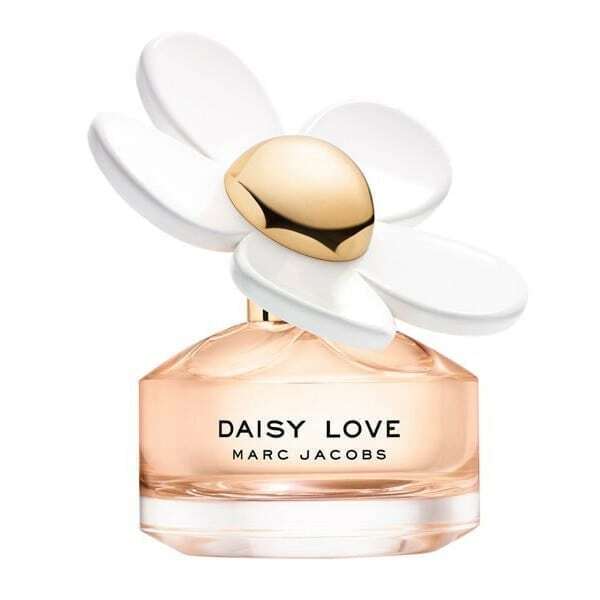 Marc Jacobs ‘Daisy‘ is a fragrance we all know and love. Launched way back in 2007, it still sits firmly on our shelves as a best seller. Since then, it has grown into a whole range of Daisy fragrances, with the likes of, ‘Daisy Eau So Fresh‘, ‘Daisy Dream‘ and a new limited edition range for the spring/summer every year, a reinterpretation of the original daisies. This year we have, ‘Daisy Twinkle‘, ‘Daisy Eau So Fresh Twinkle‘ and ‘Daisy Dream Twinkle‘ collection. 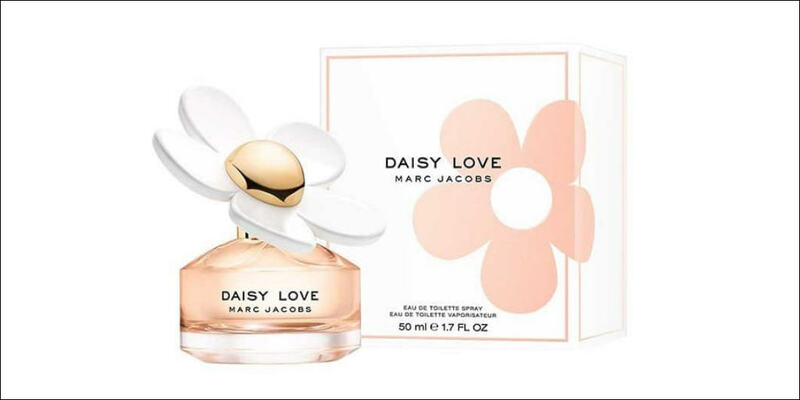 Marc Jacobs presents us Daisy lovers with a brand new fragrance, ‘Daisy Love‘ to follow on with the iconic range. The first radiant gourmand fragrance, intended for the new generation of youth. Addictive and irresistible, Daisy Love fills the air with a contagious love of life. A fresh, floral fragrance, with a vibrant burst of sweet cloudberries to open the fragrance. A woody musk base of driftwood and cashmere musk, and of course, the floral core of the perfume features the delicate note of Daisy tree petals. A lasting and memorable fragrance. Marc Jacobs has yet again done another incredible job on the bottle. Daisy Love blooms with an oversized daisy on the lid, that reflects over the warm glow of the juice. 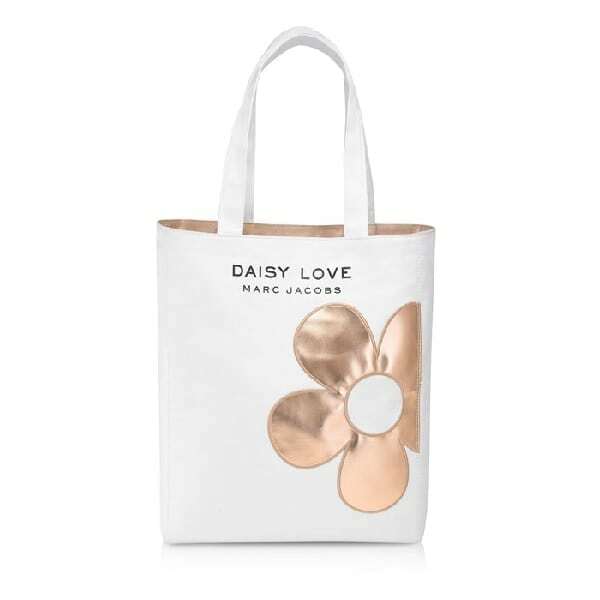 Daisy Love is definately my favourite out of the Daisy range, another beautiful fragrance to add to the collection. This fragrance comes in a 30ml, 50ml and 100ml eau de toilette spray. Also for purchases of the 50ml & 100ml there is a Free tote bag available (limited stock so be fast! ).